Spam is the curse of the Internet age. When it’s not someone trying to nick your identity or your money, it’s someone trying to sell you something. Now and again I’m happy to point you to someone else’s blog. 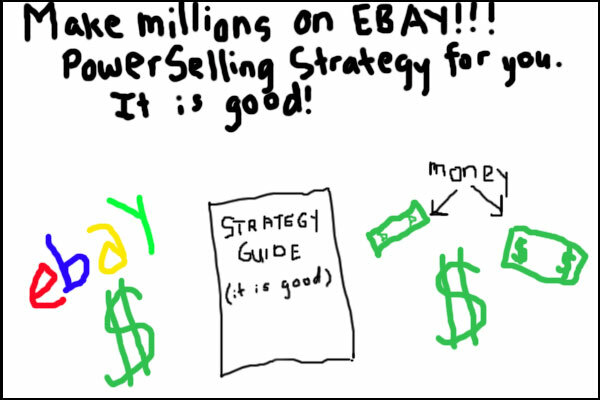 SEOMoz.org have brilliantly illustrated a spam post about how to sell your items on eBay. Here’s the whole blog post. My thanks to Nikki Pilkington for tweeting this on Twitter. If you know anyone who wants Search Engine Optimisation, send them to her. And if you know anyone who’s trying to write non-spammy sales messages, send them to me!